Lenovo has launched Lenovo Legion Y520 and Legion Y720 laptops in India and pre-booking starts from Friday Via Flipkart and www.thedostore.com. Let's know about the scenario of the products in details scroll all the way to down. Lenovo Legion Y520 laptop packed with 15.6 Inch Full FHD IPS Display with the resolutions of 1080×1920 pixels. Lenovo Legion Y520 runs on Windows 10 powered by Intel i7 (7th Generations) Core processor which is paired with 16GB DDR4 2400MHz RAM. Lenovo Legion Y520 integrated with optimised cooling feature and Dolby 2W Harman Speakers Sound which delivers clear and massive sound to the user. For batter Graphic's Lenovo Legion Y520 has Nvidia GeForce GTX 1050TI Graphics card, 4GB GDDR5 Video RAM, Now games go more fun with great visuals. Lenovo Legion Y520 has 1TB Combined with 128GB SDD Internal Storage and an optional Red backlit keyboard with 1.7mm. Legion Y520 Laptop claims 5 Hours battery life in terms of performance. Product Weight is 2.4Kgs. Lenovo Y720 Laptop has 15.6 Inch Full HD Display with the resolutions of 1080×1920 pixels. Lenovo Legion Y720 laptop powered by i7-7700HQ (7th Generation) processor which is paired with 16GB DDR4 2400MHz RAM. 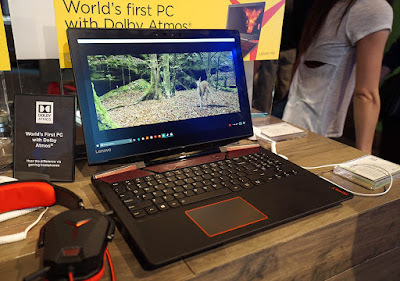 Lenovo Legion Y720 Laptop was world's first Dolby Atoms Windows based PC and it has Nvidia GeForce GTX1060 Graphics card, Games go more fun and games experiences great visuals while playing games and a 6GB GDDR5 Video RAM. Legion Y720 Laptop is certified by Oculus as VR-ready, Legion Y720 Laptop got 2W JBL Speakers which delivers clear and massive sound to the user. 2TB 5400RPM HDD and 256GB SSD Internal Storage. Lenovo Legion Y720 claims 5 Hours battery backup and product Weight is 2.95Kgs. Both the laptops are featured with Audio, Active Keys, Cooling, and Network Priority. On the other hand, Lenovo also offers 2 Years additional on-site warranty which starts at Rs.4,999 / Rs.999 part. 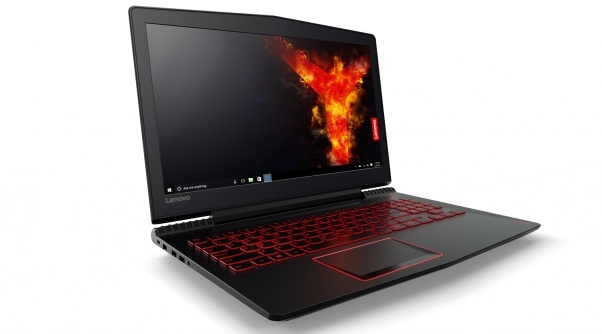 Lenovo Legion Y520 and Legion Y720 Laptops available in a single Black colour variant. Coming to the product Price is Rs.92,490 (Legion Y520) and Rs.1,49,990 (Legion Y720).